We’ve heard it before, but what does it mean to “dance like no one’s watching”? William Purkey, an author and public school teacher-turned Professor Emeritus of Counselor Education at the University of North Carolina-Greensboro, is responsible for the quote, “You’ve got to dance like there’s nobody watching, love like you’ll never be hurt, sing like there’s nobody listening and live like it’s heaven on earth.” You might think it requires dancing in the dark where no one can see you or indulging in an alcoholic beverage (if of age) to lower your inhibitions and awareness of others watching you, but I assure you, there is more to it. To me, it means dancing free from judgment, criticism or fear of what others might think. It means dancing in my bedroom at seven years old to Paula Abdul’s Shut Up and Dance album. It means being present and not overwhelmed or consumed by others’ expectations. 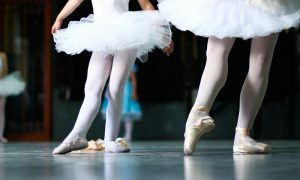 It means focusing on why I started dancing in the first place — for fun, for expression, for connection, for me! In today’s world, it seems more than ever that there is someone watching our every move. It could be because we post our lives on social media, opening ourselves up to praise and criticism. It seems rare that we keep moments to ourselves, and yet there is power in the self reflection that takes place when you engage in movement for you and no one else. So how is it that we are supposed to “dance like no one is watching” when everyone is? How do we embrace this practice when it is our job to perform in front of others? How can we, as dancers and dance educators, apply this principle to our dance performance, career and life outside of dance? One way to embrace “dancing like no one’s watching” is to dance for you. This doesn’t necessarily mean by yourself but rather dancing without expectation or praise from others. Dance to connect to yourself, your passion, your desire to move from the places that words could never express. Are you able to do this? You might find that you don’t know how to engage in dance unless it is accompanied by praise or external validation. I urge you to reconnect to the reasons you started dancing in the first place. If you are just beginning your dance journey, then find the rhythms and music that move you and allow them to take over your body until you are in the flow, the zone where time disappears. Dance because it feels good. Dance because no other form of expression will do justice to how you are feeling. Dance to release tension, let go and because you can. Consider using authentic movement or choreography to convey a message, illustrate a point or tell your personal story. 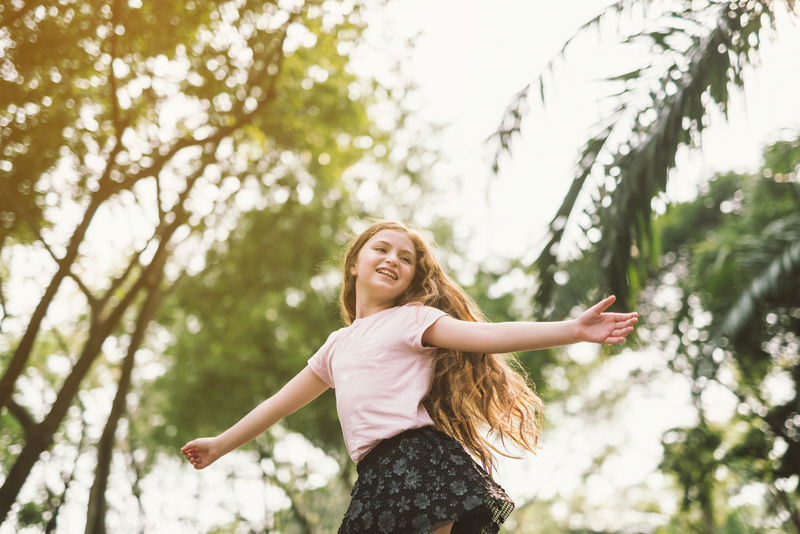 Using dance as a means of expression or another way to communicate can create a deeper connection to yourself, ultimately making it easier to dance free from judgment because no one can argue your own feelings, thoughts or personal stories. Allow the movements to express the emotions behind the story. Using body language to tell a story is actually 80 percent of the communication we take part in every day. Learning to hone that skill enables you to embrace all the ways that you share who you are with the world. You might consider learning a dance native to your culture to deepen your awareness of your heritage and lineage. Aside from dancing for your own pleasure or to convey your own message, you can dance to connect to others. Dance can strengthen a community as well as build one. It has the ability to transcend race, culture, gender and religion. Cultures can be preserved and sustained through dance. A group of people with no other commonality, aside from their human nature, can come together in dance. As a dance therapist, I have seen dance build empathy, compassion and trust among group participants looking for acceptance and belonging. A striking example of a traditional “dance” that instills community and connection is the haka. Ultimately, it is essential to connect to your movements in a way that validates your very existence. If the dance that you engage in is an authentic expression of the self, it can provide a sense of freedom and release that nothing else can. As for those of us who perform for an audience and dance choreography that is created by someone else, you will find that practicing this principle will deepen your ability to communicate to your audience and connect to choreography other than your own. You will leave a lasting impression on your audience, not because of your perfect turnout or impeccable technique but because of the emotion and passion oozing from your soul. Your inner dancer will shine on that stage, and that is the dancer everyone should be watching. By Erica Hornthal, LCPC, BC-DMT, Dance/Movement Therapist, Chicago Dance Therapy. 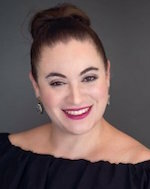 Erica Hornthal is a licensed professional clinical counselor and board certified dance/movement therapist based in Chicago, IL. She received her MA in Dance/Movement Therapy and Counseling from Columbia College Chicago and her BS in Psychology from the University of Illinois Champaign-Urbana. Erica is the founder and CEO of Chicago Dance Therapy, the premier dance therapy and counseling practice in Chicago, IL. As a body-centered psychotherapist, Erica assists clients of all ages and abilities in harnessing the power of the mind-body connection to create greater awareness and understanding of emotional and mental health. For more, visit www.chicagodancetherapy.com.